News broke today that actor Ian McShane is in final negotiations with Disney to play Blackbeard in "Pirates of the Caribbean: On Stranger Tides." McShane who made his presence known to U.S. audiences in HBO's cable series Deadwood as Al Swearengen will make a perfect Blackbeard. I've loved McShane for a number of years now and seeing him as Blackbeard fighting against Jack Sparrow and Barbossa really gets me intrigued to see how the fourth installment of 'Pirates' fares. Penelope Cruz has also been recently cast to star opposite Johnny Depp as his "foil and equal in many ways." Any further information of Cruz's character is been kept under wraps much like a full details on the storyline. We do know that the fourth film will in fact delve into the myth of the Fountain of Youth as eluded to in "At World's End." 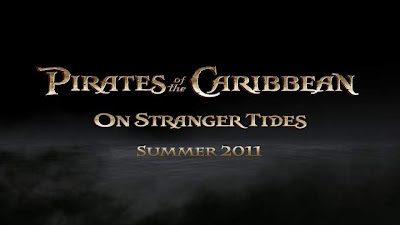 Because 'On Stranger Tides' is loosely based on Tim Powers novel, we can also derive a little from the original titles' book jacket excerpt, which I covered back in September.